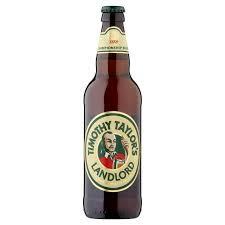 I have waxed lyrical in posts passim about my love of Timothy Taylor Landlord. Whether bottled or on cask, it is one of my favourite beers on the planet. It is one of the models I used when creating Bitter 42 with Three Notch'd, and is a constant point of reference in my homebrewing efforts when I make best bitters. Not too long ago the beer underwent a brand refresh, which included a change in the label on the bottled version. Below are the old and the new, with the old first. 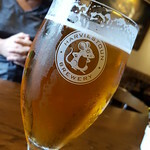 On various trips to bottle shops I would see Landlord, but with it's former guise and so I avoided it as I don't want to spend money on out of date beer, my assumption being that the presence of the older label was an indicator of old stock. Well, it turns out I was wrong in my assumption. Apparently the process of getting a new label approved by the TTB here in the States is so onerous that the decision was taken to maintain the old label for the American market rather than suffer the slings and arrows of outrageous bureaucracy. From what I have been told by the brewery, the beer has a shelf life of 12 months, and the date on bottles is a "best before" date rather than a "born on". So, American fans of classic English beers, check out the date rather than making my mistake, and enjoy probably Yorkshire's (and by default England's) finest with all the requisite aplomb! 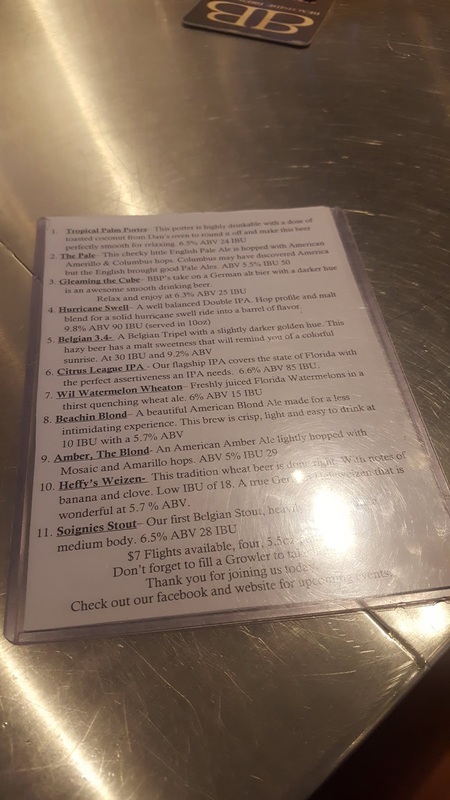 As I mentioned in my Top Ten Virginia Beers post yesterday, my little family and I got back to Central Virginia on Sunday having spent a week at the beach in Florida. Most years we go down to Daytona Beach for a week of sitting by the pool, reading copious amounts of books, and generally getting gently toasted as the beer flows. This being the first year with the twins in tow, I failed to read the one book I had with me, got hustled into actually going to the beach (I grew up on an island in the Hebrides and hate sand with a passion), and somehow managed to not finish the 2 12 packs of Sierra Nevada beer that I bought while there. One thing that Mrs V and I had in mind though was to leave the boys with her parents for a few hours and actually go out on date. Not having family around in Central Virginia to provide free babysitting services means alone time of just Mrs V and I is very much at a premium. When we were discussing where to go for our date, we wanted to avoid the many cheesy tourist traps that Daytona Beach has to offer, and our (well ok then, my) experience of the local craft beer scene has been universally meh. 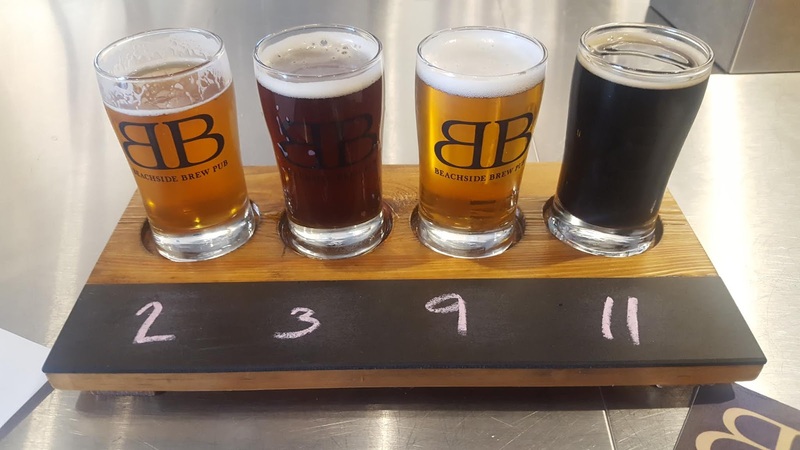 Surfing around the old interwebs, I came across a brewpub in nearby Ormond-By-The-Sea called appropriately enough Beachside Brew Pub. Situated in a smallish industrial unit within easy walking distance of said beach and the Atlantic Ocean, Beachside from the outside doesn't really look at that promising, never judge a book by its cover folks. We took a couple of free seats at the bar, the crowd seemed to be mostly locals rather than tourists like ourselves and looked over the menu. I didn't take copious notes, I was on a date with my wife after all, but all 4 were more than solid, and in The Pale pretty damned good. Mrs V also had The Pale, as well as Wil Watermelon Wheaton, Beachin Blond, and Heffy's Weizen, of which she stick to the Beachin Blond for the night. Suitably impressed I went on to try the remaining beers, with the Hurricane Swell Double IPA being the standout, yes dear regular Fuggled reader you did read that right. However, it was The Pale that drank for the rest of the night. 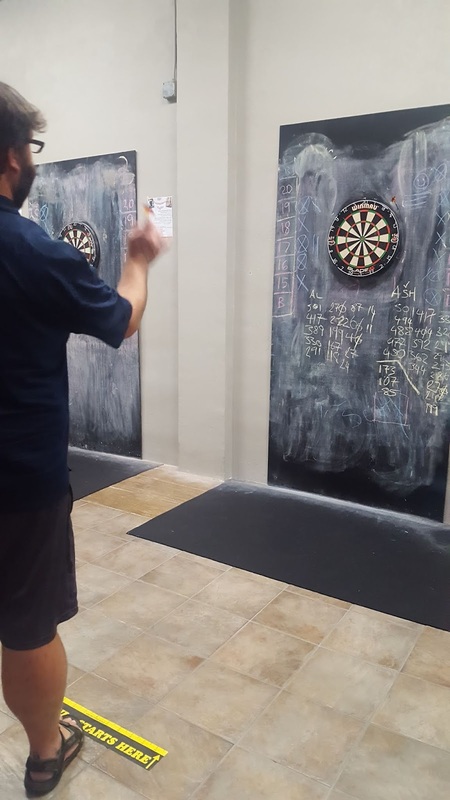 Our original plan had been to come down, have a pint and then move on elsewhere, as it was we stayed for a few hours taking advantage of their "rec room" with pool tables, darts, and table tennis. 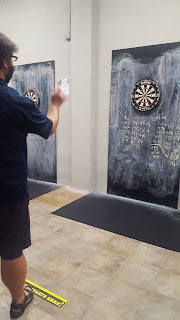 Mrs V and I decided to re-enact our honeymoon and play some darts, with me introducing her to the scoring of a classic game of 501, which I then went and lost. One thing that really deserves a shout out here is the service, it was excellent. I don't recall our bartender's name, but she was simply brilliant and really made us feel welcome, especially as she and Mrs V traded twin mother battle stories. One thing I loved about the place was that it seemed to be a local hangout, with a collection of folks known to the bartenders, in an almost Cheers! like way, it was charming. Should you find yourself in the Daytona Beach area, I really recommend getting along to Beachside and support a good local business, well 2 really as they have a daily rotation of food trucks, though we didn't have any food while we were there.